Justin Timberlake Archive - Justin Timberlake The Tennessee Kids on Netflix, Oct 12th! You are here: Home / News / Justin Timberlake The Tennessee Kids on Netflix, Oct 12th! 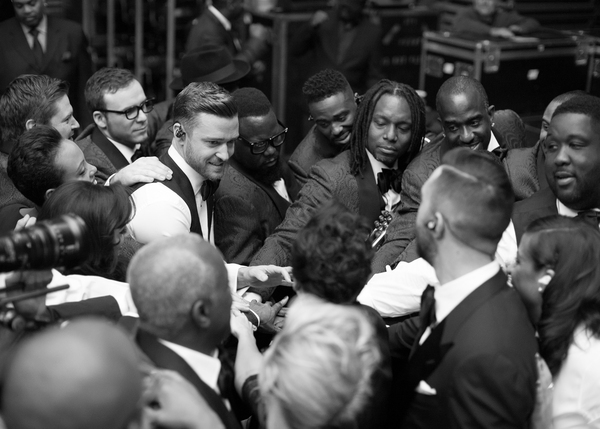 Justin Timberlake + The Tennessee Kids on Netflix, Oct 12th! Relive your favorite moments from The 20/20 Experience World Tour with Justin and The Tennessee Kids, starting Oct. 12th, exclusively streaming on Netflix. Directed by Academy Award® winner Jonathan Demme and produced by Emmy® Award winner Gary Goetzman, the Netflix Original Film showcases the final performance of the 20/20 Experience World Tour at the MGM Grand Garden Arena in Las Vegas after 134 shows! Justin appeared at the Toronto Film Festival, with Jonathan Deme, to help promote the film. Check out some of the photos below! And don’t forget to grab your best friends, the popcorn, and get ready to let the groove get in on Oct. 12th y'all! Will this be available in the UK too? Apakah anda tertarik untuk memakai alas kayu di rumah? Ya, memang akan terlihat lebih alami dibandingkan dengan menggunakan marmer atau keramik dengan kesan modern. Persiapan apa saja yang perlu diperhatikan sebelum anda memutuskan untuk memasang lantai kayu.